Magician Mark Pinksten been been consuming Pop Culture all his life while performing his duties as one of the world’s most experienced Computer Security Instructors. And he performs magic when not teaching. He has created completely new comedy magic show unlike anything you will see anywhere on the planet. 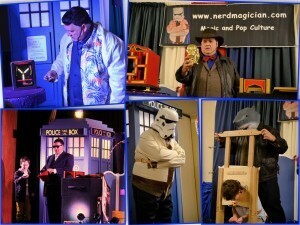 He combines his love of Nerd Culture with new versions of classic magic and illusion.